Once, twice, three... shoot! When the Filthy Habits find themselves locked in their rehearsal studio, it seems like just another bump in the road to stardom for the wildly-coiffed rock band. But hidden deep in the recesses of the converted old mill lurks a horror cut from the finest tailor's cloth -- and it doesn't take kindly to loud music and unruly fashion! 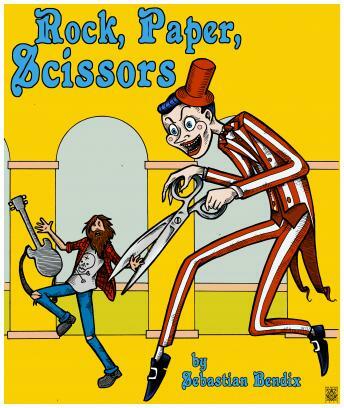 An incantation is spoken, bringing the horror's oversized scissors snapping to life, and soon the rockers are a band on the run... for their lives!